Dr. Dedesma attained her medical degree at the Baylor College of Medicine in Houston, TX. She completed her adult psychiatry residency at New York Presbyterian Hospital Weill Cornell in New York City and fellowship in Psychosomatic Medicine at the Brigham and Women’s Hospital/Harvard Medical School. After training, Dr. Dedesma served as clinical faculty at the Cambridge Health Alliance/Harvard Medical School until 2014. 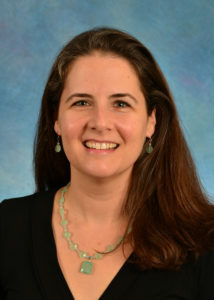 She then came to UNC where she served as the medical director of psychiatry at Rex Hospital in Raleigh, NC until 2017. She is board certified in adult psychiatry and in psychosomatic medicine (also known as medical psychiatry or general hospital psychiatry). She is a fellow of the Academy of Psychosomatic Medicine (a recognition given for contributions in the field of medical psychiatry). She has extensive experience working with patients who have a combination of medical complexity and psychiatric disorders. Her specialty interests also include depression, mood disorders, anxiety disorders, women’s mental health and peripartum mood disorders. Dr. Dedesma takes a collaborative approach to patient care, working closely with the patient, therapists and outside medical providers.